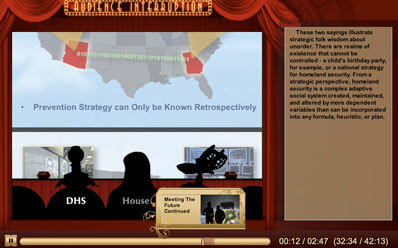 An online interface set in a classic theater setting. The interface is built in Flash and populated from XML data. The interface is able to play both swf and flv formats fluidly and effortlessly. A good user experience means you've done your job.